On the precipice of the release of his fourth full-length album slated for release on August 21, Dan Snaith is feeling very energized about what is happening in his musical world. Born in Canada and later relocating to London, Snaith’s interest in music began in his early teens and he became proficient on many instruments. On Andorra, he follows the pattern of his previous efforts by recording most of the guitar, vocals, drums, keyboards, flutes and various electronics himself. It is his most consistent album yet, riding the line of pop and psychedelia. The recording is full of surprisingly organic, subtle studio tracks and automations. There is no doubt that the woodlands played a giant role in the creation of his sound. SLUG: You were recording this album over a year now. What is the most difficult part of the recording process for you? 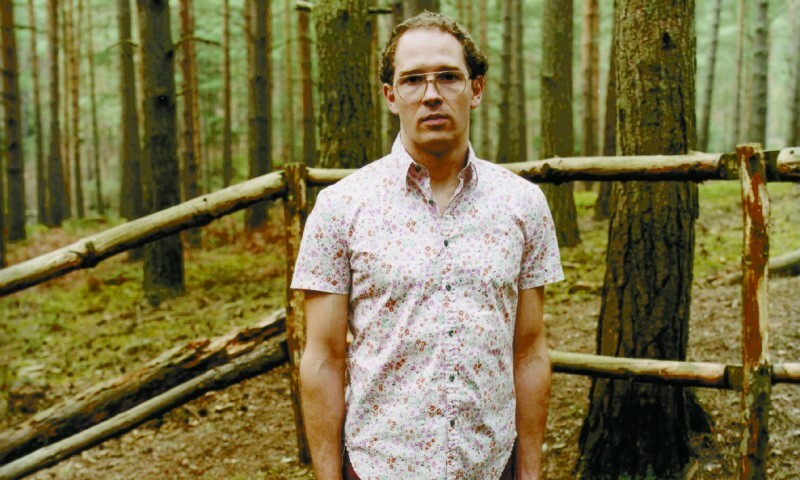 Caribou: I took over a year recording this album and I really mean working on it all day every day. I worked on over 670 songs for this album and ended up choosing only nine! That means on average I’d spend over a month working on new tracks before I came up with something I was happy enough with to put on the album, that’s an incredibly frustrating and draining process. On the other hand, I think if I’d just made this album in two weeks I wouldn’t have the same accomplishment. I would be thinking, what if I’d spent more time on it? Could it have been better? There’s a real sense after working on this album for so long that it’s the best album that I could make and that’s very satisfying. SLUG: How did your deal with Merge Records come about? Caribou: A friend who was working with me put us in touch and they were very enthusiastic to work together right from the beginning. I’m a massive fan of a lot of the music they’ve put out over the years so it was a very natural fit. I know a lot of people talk about record labels like they’re some kind of evil McCorporations with only moneymaking in mind, that’s not my experience at all. All the record labels I’ve ever worked with have been fantastic, and I’ve become good friends with all the people I’ve worked with. I guess that’s probably because all my music has come out on independent record labels. It’s just a question of finding the right labels to put out each record. SLUG: You seem to be very entranced by the flutophone. What attracts you to that instrument? Caribou: The flutophone is essentially like a recorder but made out of Bakelite. It’s a remnant of the 50s or 60s and was a children’s toy. Somehow it’s much easier to get a nice tone out of it than a recorder, which suits me because I don’t want to spend long periods of time practicing either instrument … just pick it up and get the melody and flute-y character I want in the music. SLUG: How did you start playing drums? Caribou: I started playing drums in high school. I got a kid’s secondhand drum kit out of the classified ads in my town and started banging away in this old shed behind my house, surrounded by fields. I don’t get to play them as much as I’d like, but you can probably tell from my music that percussion and drums are a big part of my sound and my approach towards music. I actually still play that same kid’s drum kit when we tour around the U.K.
SLUG: What kind of music to you play when you DJ? What music do you listen to at home? Carbou: I’m a compulsive record collector of all sorts of music: free jazz, techno, hip hop, progressive rock, Turkish psychedelic music, soul, disco, African music, etc. When I DJ, I tend to play everything from all across the board … I’ve always been more interested in peoples’ musical ideas rather than the genres they end up in. At home I prefer silence a lot of the time. I spend so much time listening to music while I’m working on it, unfortunately, the music that I hear the most, by far, is my own, that sometimes the nicest thing to hear is a bit of silence. SLUG: What are your favorite things about London? How did you end up there? 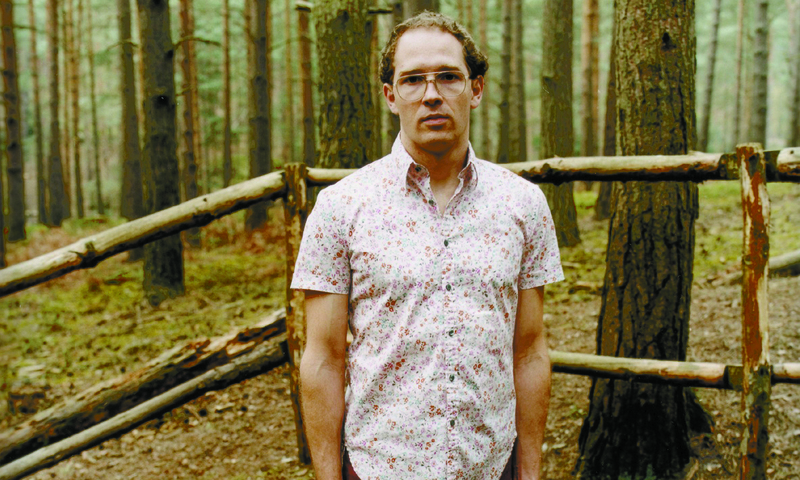 Caribou: I really like living in London, probably my favorite thing about it is that it’s a real microcosm of the world in many ways. Having been away to most other places, the first thing you notice when coming back to London is that you’re surrounded by people speaking every imaginable language and doing their own thing. Toronto (where I lived before this) is also really great like that but I’ve realized in traveling how rare that is. I also love the fact that as fast as it’s being dismantled by the New Labour Government (and previously was by the Conservatives) there are still remnants of an impressive social state here with an emphasis on the importance of culture: free entry to museums and art galleries, a struggling public healthcare service, etc. SLUG: Are you currently pursuing anything with your degree in mathematics? Caribou: No, not at all. The music keeps me busier than I could have ever imagined. I passed my PhD examination in 2005 and since then haven’t looked at any mathematics. I love mathematics, it’s an extremely beautiful subject at the research level, but I’m much happier dedicating myself to music at the moment and for the foreseeable future. Andorra is destined to be on many top-10 lists and Snaith is looking forward to spreading his drug-soaked beauty to the masses as he tours through Europe and North America for the later half of the year. He will be bringing friends to help him play his songs and will be arriving in Utah in October 24. His live incarnations are world renowned, with multiple drumsets, hallucinatory visuals and the ever present flutophone. Until then we can listen and wait for the trees to grow a little more.